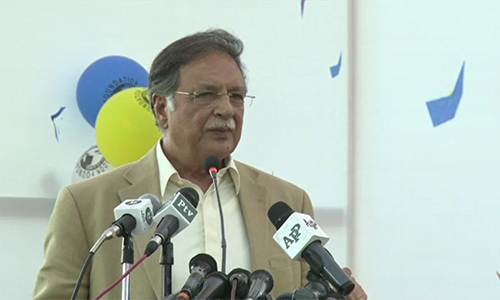 ISLAMABAD (92 News) – Federal Minister for Information and Broadcasting Pervaiz Rashid has said that no one has a right to a ‘forced strike’. Talking to the media on Friday, he said that people giving the strike call should approach court. He said that the High Court had decided about MQM chief Altaf Hussain. “If someone has an objection, he should move the Supreme Court,” he said. The minister said that they had to trust in the judicial system. “Being a member of the parliament does not give a license of committing murder or crime,” he maintained.